UNITED NATIONS, February 11 -- The UN Office for Project Services has issued to Nay Htun of Myanmar regular payments disguised as "Daily Sustenance Allowance" although Mr. Htun lives in New York, where he is titular head of the U.S. office of the UN University for Peace, sources have told Inner City Press. Mr. Htun being a UN retiree drawing a pension, the volume of payment are above those permissible to continue receiving pension payments. Click here for the most recent installment in Inner City Press' UN Pension Fund series. Mr. Htun worked at the UN Environment Program in the wake of Maurice Strong, who after having climbed from security guard at UN Headquarters to Under Secretary General ostensibly left the UN System during the Oil for Food scandal, but was identified last month by Inner City Press as still serving on the Council of the UN's University for Peace. Mr. Htun also worked for the UN Development Program, as director of UNDP�s Regional Bureau for Asia and the Pacific. In that capacity in 1999, in comments similar to UNDP's recent characterization of its now-controversy programs in North Korea, Nay Htun said of Myanmar, "There is no hindrance whatsoever, about where they can go, who they can meet. There is no problem [regarding access]. This has never been the case. Perhaps sometimes people are temporarily not allowed for their own safety." Sources tell Inner City Press that the payments to Mr. Htun from UNOPS are on behalf of the UN Development Program, and that UNDP disguises certain of its projects through UNOPS. Such obfuscation is made easier by the facts that UNOPS is significantly behind schedule in releasing its audited financial statements, and that UNOPS' web site does not even list a press contact, despite the substantial funds that flow through UNOPS (more on which we will soon be reporting). "DSA" is an acronym used in the UN to designate "Daily Sustenance Allowance," paid to staff in advance of a trip to cover expenses in a city in which they do not have a home. In this case, knowledgeable UN insiders to whom Inner City Press has shown the records of UNOPS payments to Nay Htun express surprise at "DSA" being paid on such a routine and round-number basis. One expert consulted by Inner City Press, who requested anonymity due to the UN's and especially UNOPS' propensity to try to retaliate, said that "they've paid DSA in advance and in round numbers. This looks like salary concealed as DSA, in an attempt also to get around the $22,000 cap on annual UN payments to someone receiving a UN pension. Everything over $22,000 should be subtracted from the pension." For today's installment in Inner City Press' ongoing series on irregularities in the UN Joint Staff Pension Fund, click here. Two weeks ago, Inner City Press published the first story about University for Peace, and its payments for travel of 10 North Korean officials to the University of Lund in Sweden. Click here for that story, which also noted that Maurice Strong, a long-time UN official who left amid scandal and was repeated said to be out of the UN system, was still serving on the Council of the University for Peace. The article noted, in questions that now still remain unanswered on February 11, that Inner City Press had asked UNDP on January 24 to confirm or deny contributions to the University for Peace, whether they related to North Korea, whether they involved, among others, Nay Htun, and whether Mr. Htun lead the tour in Lund and if the funding was approved by Htun's successor at RBAP, Hafiz Pasha. While UNDP has still not directly responded to many of these questions, UNDP's David Morrison, when asked by Inner City Press on January 26 about the travel of the 10 North Korean officials, was clearly aware of, and had a UNDP-protected answer to, the question: it's the University for Peace. Dear Mr. Lee, Please find below the information you requested. At the Press Briefings of the Spokesperson of the Secretary-General and the Spokesperson of the President of the General Assembly on Monday, 29 January and Wednesday, 31 January, a number of questions were raised about the governance of the University for Peace (UPEACE) and its relationship with the United Nations, including financial oversight... UPEACE does not come under the purview or oversight of UN auditing arms like OIOS. Q: Inner City Press on Jan. 24 asked UNDP about their role in the travel in 2006 of ten North Korean officials to the University of Lund. On January 26, UNDP's director of Communications told us that the travel had been paid by the University for Peace. While surely that answer is authoritative, this is a request for confirmation of that UNDP response, and for a response to these questions: In 2004, did UNDP contribute $100,000 to the University for Peace? if so, was this project to the DPRK? A: In 2004-2005, UNDP provided the University of Peace with USD 200,000 for the project "Energy for Rural Development," as stated in our audited financial statements (see above). The project was a component of the Regional Energy Program for Poverty Reduction of the UNDP Asia Pacific Bureau. The program was endorsed by the Governments of China, Cook Islands, Samoa, Timor-Leste, Tokelau, Cambodia, Maldives and the Philippines. The Energy for Rural Development Project focused on capacity-building and training curriculum for energy supply, demand and end use planning; a report for renewable energy projects in South East Asia (potential for integrated reforestation and renewable energy); a report on the potential of biogas in North East Asia; and activities for the dissemination and sharing of outputs with a network of 30 Universities in Asia Pacific. The Energy for Rural Development Project was a research project and it was not carried out in North Korea nor did it involve any North Korean institutions or experts. Regarding the DPRK project, these activities were funded by the Canadian International Development Agency (CIDA). In the context of this project, UPEACE requested UNDP Pyongyong to assist in arranging the tickets for 10 North Korean participants to attend the training course held in Lund, Sweden, but the costs were covered by the DPRK project. The economy class return air tickets were by China Southern Airlines and SAS. These were purchased through the travel agent used by UNDP Beijing. As mentioned in a press release of Lund University, the International Institute for Industrial Environmental Economics at Lund University (IIIEE) hosted and coordinated a training workshop on Sustainable Development and Energy: Knowledge Sharing and Training for a delegation of ten DPRK senior officials and experts. The training was organized in cooperation with UNEP Regional Office for Asia and Pacific, and with support from the Canadian International Development Agency (CIDA) and UNDP Regional Bureau for Asia Pacific. The program started 21 August 2006 and was completed on 15 September 2006. The support from UNDP and UNEP was in-kind. A: As noted above, the UNDP contribution was not a contribution to the DPRK project. Q: Given statements made at UN headquarters, please comment on the presence on University for Peace's Council of Maurice Strong, and Mr. Strong's role in any of the above. A: Mr. Strong was President of the UPEACE Council until October 2006, and as President had a policy oversight function on all the activities of UPEACE. Q: Please state how much funding University for Peace has received from UNDP in the past nine years, and the use of the funds. A: In addition to the above-mentioned contribution of USD 200,000, UNDP provided in 2002 USD 80,000 for a regional Program to promote Peace and Security in Latin America and the Caribbean. In 2006 UPEACE received USD 28,916 from UNDP for the Leadership for Local Development in Latin America Project. As mentioned above, UPEACE does not receive regular funding from the UN. Our relationship with UN agencies, as is the case with many other educational institutions and NGO�s, is based on collaborative activities to pursue similar goals. Q: We have read that "funding of UPEACE programs comes from the support of a number of donor governments, foundations and institutions...Fundraising for an endowment fund is in progress." Please list by name the donors / funders and amounts for the past five years, including any restrictions on or targeting of the funds, and the use of the funds. Separately please list funders for the endowment fund. A: UPEACE relies on voluntary contributions from a variety of sources, especially Governments, development aid agencies and foundations, to sustain its activities. 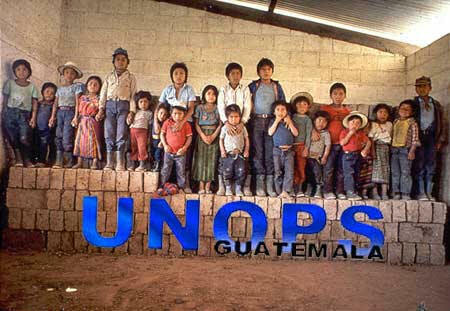 Since 1999 and until 31 August 2006, UPEACE has been able to raise a total of USD 36 million from 42 different donors. The donations are either in the form of institutional support or project- or activity-based, including for the granting of scholarships for students at the University. There have as yet been no contributions to the Endowment Fund. Q: Finally, for now, please describe your programs in Central Asia and Asia Pacific / Manila, and any of your other programs you'd like to describe. A: In 2001 UPEACE launched a program focused on education for peace in Central Asia. The main aim of the UPEACE Central Asia Program is to promote stability by transferring into the region new self-sustaining capabilities for peace education, training, research and dialogue. During the past five years, this Program developed modular MA teaching and training courses tailored to Central Asian needs. These courses covered a variety of topics such as theory and analysis of conflict, mediation and peacekeeping intervention, economic development and conflict, civil society and peace-building, media and conflict. Preparatory work has also been undertaken since 2000 towards establishing a Regional Program for Asia and the Pacific. In the first phase, UPEACE mobilized a Network of over 40 Asia-Pacific Universities and Institutions for Conflict Prevention and Peace-building (APCP). Several training courses were co-hosted by partner universities in the region. A consultative process to identify needs, capacities and opportunities for strengthening education involved six countries in the region. It forged strong partnerships and the base has been laid for the future implementation of activities, networking and collaboration. In Sri Lanka, UPEACE is conducting a joint diploma course in "Skills Development for Conflict Resolution" with Bandaranaike Centre for International Studies. UPEACE will launch on 10 April 2007 a Dual Campus Program in San Jose, Costa Rica and in Manila The Philippines, in International Peace Studies for Asian students. The program is supported by The Nippon Foundation and will be implemented in collaboration with Ateneo de Manila University. Q: How many Laissez Passer's and G-4 visas, if any, were given out for the 10 North Koreans-to-Lund project, and separately, how many have been given out in the past four years, and to whom. A: As explained above, UPEACE is a UN-affiliated organization, but does not issue Laissez-Passer's. None of the participants received Laissez-Passer. Regarding G-4 visas, these were not required since the participants did not travel to the United States. None of the staff in the UPEACE New York Office hold G-4 visas; they hold their respective national passports and have US permanent residence status. An unusual aspect of the UNDP's work in Burma is the very close engagement of its Asia-Pacific Director Nay Htun, a Burmese national. UN rules normally bar any officials from substantive involvement in policy matters relating to their own country. UNDP describes as "coincidental" Nay Htun's latest visit to Burma in November, just after a UN reform plan was presented to the junta by UN special envoy Assistant Secretary General Alvaro de Soto... Some UNDP workers express private dismay at what they call Nay Htun's "interference," and another UN official, speaking on condition of anonymity, complained, "I do not understand why he is still permitted to travel and stick his nose into Burma's political affairs, despite our repeated protests." Nay Htun did not respond by deadline from his UNOPS email address. UNOPS director Jan Mattsson, who declined to answer Inner City Press' question following the recent Executive Board meeting at which UNOPS failure to file audited financial statements was discussed, is currently on annual leave, Inner City Press is now informed, after awaiting his response. UNOPS still lists no media contact on its web site. UNDP has stated, in response to questions that touch on North Korea as this one does, that "until the audit is completed, it would not be appropriate to comment on our work there." I just wanted to let you know that we have received your questions related to Canada's Assistance to the Democratic People's Republic of Korea, the University of Peace and a training program entitled "Sustainable Development and Energy: Knowledge Sharing and Training --- A Program for DPRK Senior Officials and Experts." I understand you have spoken with officials from the Department of Foreign Affairs and International Trade on this subject. We are working on the request and I expect to be able to get back to you with some information shortly. Because a number of Inner City Press' UNOPS sources go out of their way to express commitment to serving the poor, and while it should be unnecessary, Inner City Press is compelled to conclude this installment in a necessarily-ongoing series by saluting the stated goals of UNOPS and many of its staff. Keep those cards, letters and emails coming, and phone calls too, we apologize for any phone tag, but please continue trying, and keep the information flowing.